Destruction of the tea. 1879. New York Public Library. 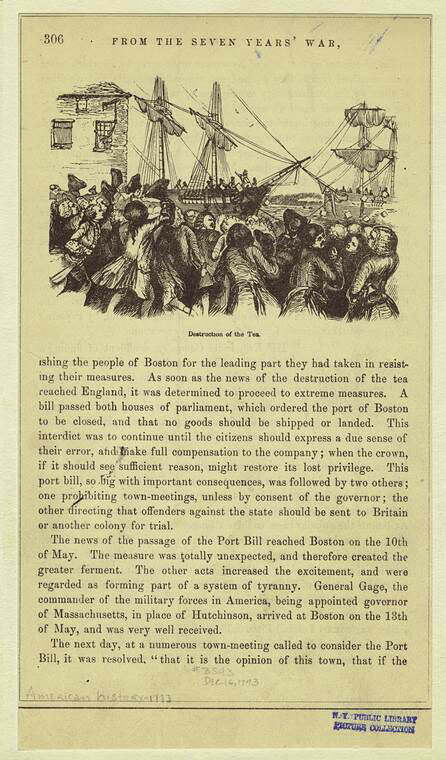 With the Dartmouth refused a pass to safely sail out of Boston Harbor and to return her cargo of British East India Company Tea, time was running out and the Patriots exhausted all legal means to keep the ship from being unloaded. 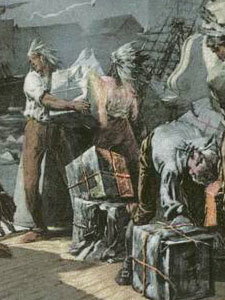 Since the arrival of the Dartmouth on November 28, the Sons of Liberty had been secretly planning a last resort alternative measure to prevent the unloading of the British East India Company tea if all diplomatic negotiations with government officials failed. 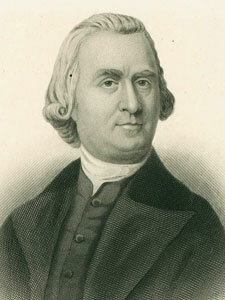 Samuel Adams. 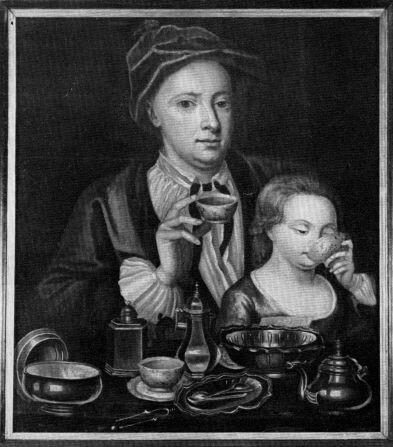 Engraving by W. G. Jackman. Massachusetts Historical Society. Lieutenant Governor and Chief Justice of Massachusetts Thomas Hutchinson was the final word in regards to colonial policy in Massachusetts and with his refusal to cooperate with the people’s demands, Samuel Adams declared, “This meeting can do nothing more to save the country!”. 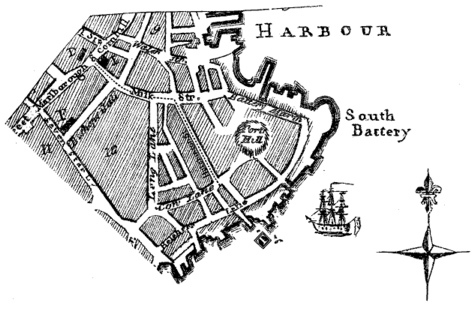 The route taken on December 16, 1773 from the Old South Meeting House to Griffin's Wharf. 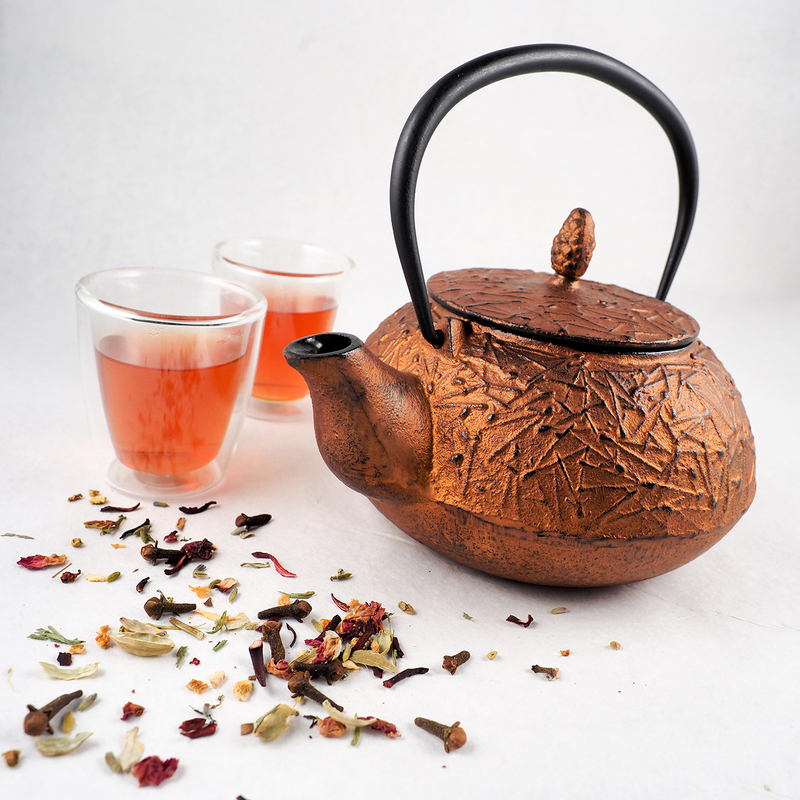 Book of Tea Leaves. 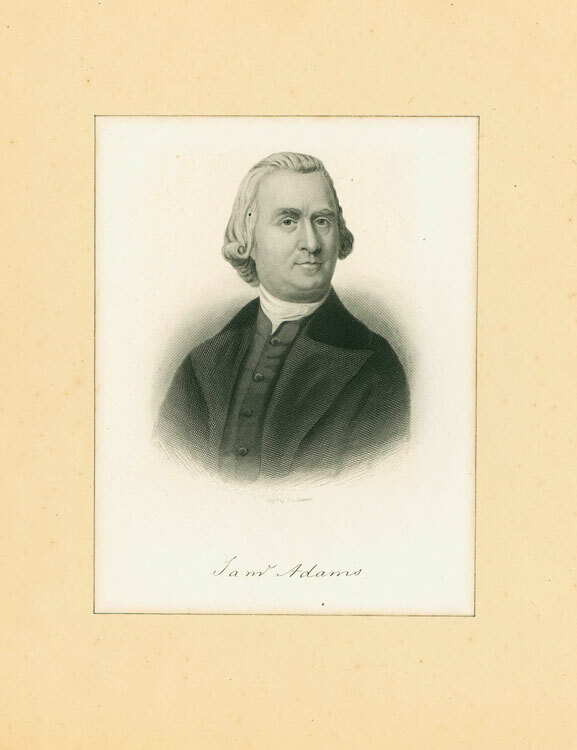 With those words Adams addressed the thousands gathered at the Old South Meeting House, the meeting came to a close, and it was the signal for the Sons of Liberty to take action and carry out their plan. Cries of “huzza!” and “make Boston Harbor a teapot tonight!” resonated throughout the Old South Meeting House. 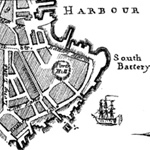 With war whoops, members of the Sons of Liberty dressed in their best interpretations of “Indian Dress” emerged from the Old South Meeting House, mustered at Fort Hill, and marched to Griffin’s Wharf. 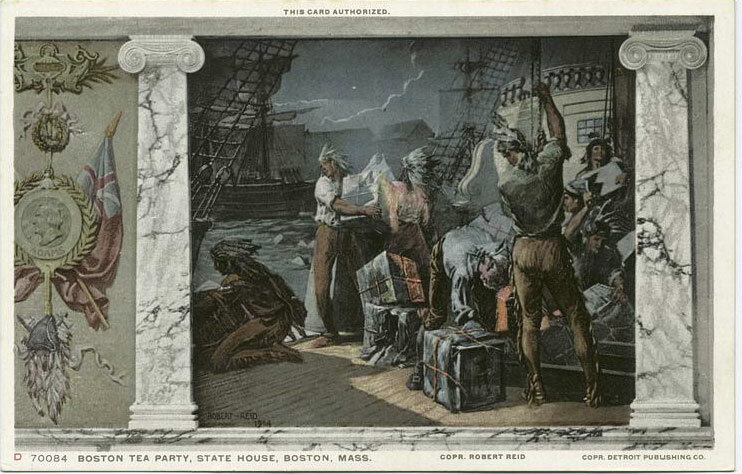 Boston Tea Party, State House Mural, Boston, Massachusetts. New York Public Library. 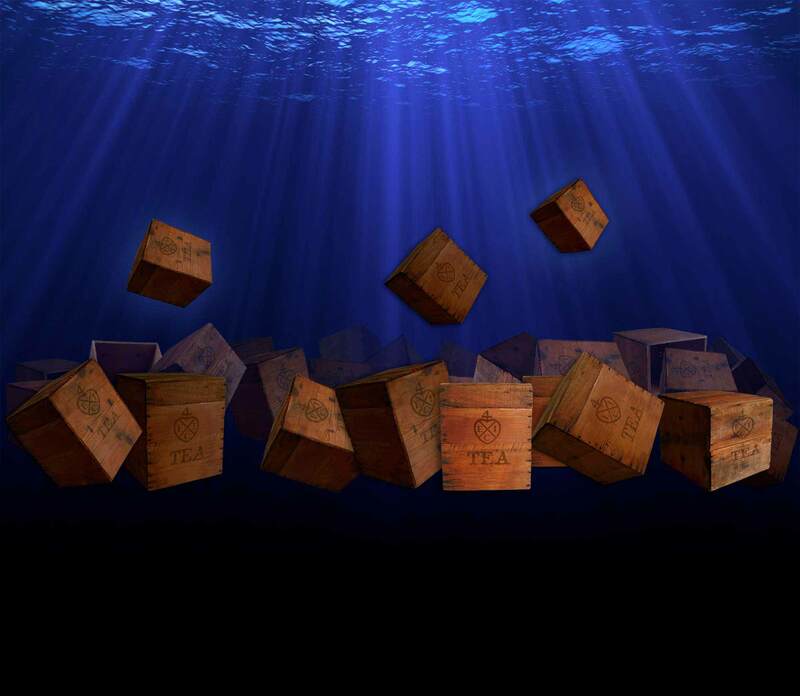 The inhabitants of Boston cast the English East India tea into the sea on 18 December 1773. Library of Congress. 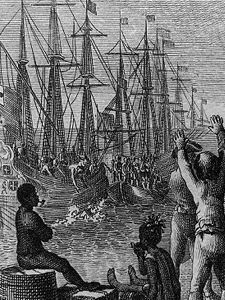 It is estimated hundreds took part in the Boston Tea Party, and the event was witnessed by thousands. 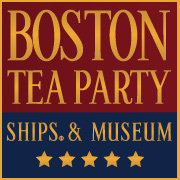 For fear of punishment, many participants of the Boston Tea Party remained anonymous for many years after the event. John Adams would later recount he did not know the identity of a single participant. To date it is known 116 people are documented to have participated. 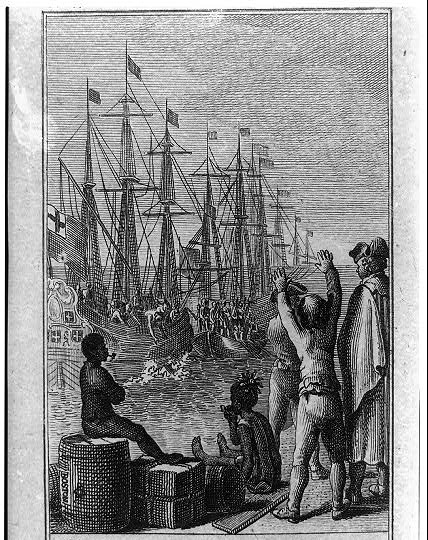 Not all of the participants of the Boston Tea Party are known; many carried the secret of their participation to their graves. The participants were made up of males from all walks of colonial society. Many were from Boston or the surrounding area, but some participants are documented to have come from as far away as Worcester in central Massachusetts, and Maine. The vast majority were of English decent, but men of Irish, Scottish, French, Portuguese, and African ancestry are documented to have participated. The participants were off all ages, but the majority of the documented participants were under the age of forty. 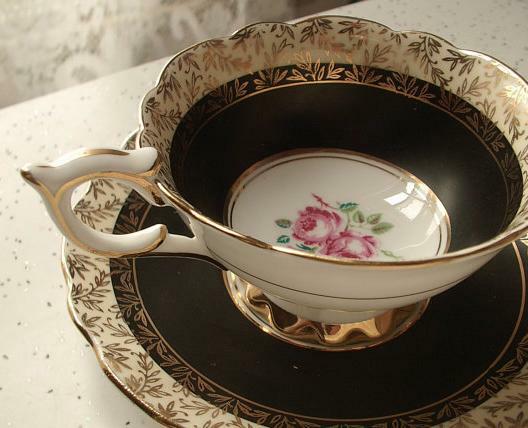 Sixteen participants were teenagers, and only nine men were above the age of forty.